Let’s be civil, and act as mature people in Christ while dealing with the lost. Remember, the people who have modern leftists ideals are not your enemy. 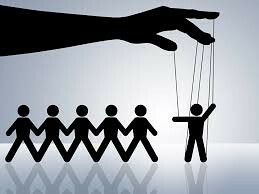 It is the power behind them, pulling their strings. That is why our Lord, and His apostles, when they were killed, could ask God to forgive their murderers, due to their ignorance. We are dealing with a group of people who are unable to recognize truth, reason, love, and who are enslaved to sin, their master. They are children of their father, satan. According to Romans 1, their minds are debased, and unable to reason. Pray for the miracle of regeneration to happen to them, that they would be born again, and that they would repent of their sins, and trust solely in Jesus’ work on the cross for their justification. We tend to compare human volition with that of God’s. I believe this is what causes so much confusion when it comes to understanding sovereign election, and man’s culpability. We hear comments like, “If God decides who gets saved, and who doesn’t, then it doesn’t matter what I do. We are just a bunch of mindless robots.” Now we know that we are not mindless robots, and our choices have consequences. We also know from scripture that God says we are culpable for our sins. We also should know, that we as finite, cursed, creatures, can’t know perfectly the attributes of God. We can only know them as much as we are made able to know them. That isn’t to say that our knowledge is insufficient for our spiritual needs, it is simply something we must acknowledge before moving on. I’m not going to go into great detail in this article, as I do think the subject needs deeper, and more thorough treatment. I plan on writing a larger paper, or book on the topic later. I’m only going to use a few attributes in this example. Also, please keep in mind that even though there are attributes that were communicated to us in our creation by God, making us in His image, those attributes cannot be directly compared to them as found in God, as He is incomparable, having no analogous being. God’s will is informed by His sovereignty, omniscience, and beneficence, to only name a few of His attributes. How do you think those qualities affect His determining compared to the enslaved, ignorant, malevolently informed wills of human beings? You see, the will of man cannot be rightly compared to that of God’s. In eternity past, when God created everything out of nothing, and determined all things, He did so with perfect rights, as owner/Creator. He did so with perfect knowledge of everything in all times and places, and even of all things not constrained by space-time. Finally, He did so with perfect goodness, love, and justice, these all being informed by all of His other perfections/attributes. When man makes a decision it is informed by his enslaved nature. He is a slave to sin unless he has been born again. Then he is a slave to Christ Jesus. Those two facts make an eternity of differences. His will is also informed by his ignorance. Man can only consider what he reasons that he knows, when making a decision. If we consider this honestly, we would admit that compared to God’s omniscience our knowledge is incomparable. They belong in different categories. Our wills cannot operate independently apart from our sinful flesh, even when we are born again, due to our residence in the unredeemed flesh. Since these two wills operate in different conditions, one being eternal/timeless, and the other being confined to finite, unfolding time, and space, the experience of these wills is very different. I can experience the situation that requires a response, the reasoning through the known options, make a decision, and experience the consequences of my decision as they unfold in my temporal, material, experience of life as a creature. This doesn’t in any way negate the reality of God’s volition in eternity past. I, as a result of God’s will in eternity past experience my life as He has determined it. I know this seems impossible to people. We are stuck many times trying to compare things that are not in the same categories. By looking briefly at how different the two wills are, we should be able to accept that there is an aspect of ignorance in our reasoning due to our nature as creatures, that can’t justify fully how we can have a personal volition, and that God can determine all things, without there being a conflict. Our experiences as creatures are real. We are culpable for our sins. We do make choices in the construct in which we reside. Outside of that small, finite, dark, construct exists the full, luminescent, glorious truth of God. 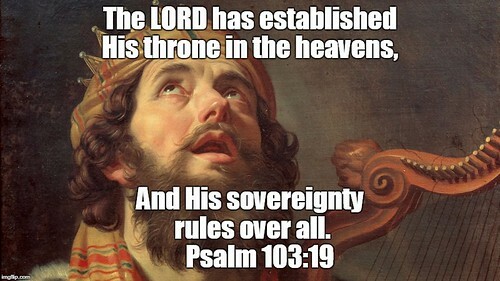 He is sovereign, omniscient, and good. We can trust those attributes as we experience the temporal, and eternal consummation of His will. What shall we say then? There is no injustice with God, is there? May it never be! For He says to Moses, “I will have mercy on whom I have mercy, and I will have compassion on whom I have compassion.” So then it does not depend on the man who wills or the man who runs, but on God who has mercy. For the Scripture says to Pharaoh, “For this very purpose I raised you up, to demonstrate MY power in you, and that MY name might be proclaimed throughout the whole earth.” So then He has mercy on whom He desires, and He hardens whom He desires. Sovereign Election, and Man’s Volition. God is omniscient. He knows everything. He cannot learn. He has always known who He would save, and who He would not. He did not have to look down the corridors of time to see who would choose Him. He knew before He made them. It is not evil for God to save only the elect. We cannot judge God. He is the infinite, transcendent Creator. We are small, finite, creatures, with limited faculties as creatures, then add on to that the noetic effect of our sin natures inherited from the fall of original sin. In Adam all die. The wages of sin is death. All of us, even the newborn, deserve death and Hell, but God in His mercy saves some. If there are two doctrines that are seemingly at odds, in your understanding, it is not the truth of God that is wrong. If the Bible says we have a volition, make choices, and suffer the consequence, or reap the rewards of those choices, then it is true. If it says that God has determined, or ordained all things to come to pass according to His will, then that is also true. Just because someone can’t justify the two ideas in their small, finite, creaturely, sin sick minds doesn’t negate the truth of God. We are limited to an existence in space/time. We only experience life in a linear progression through unfolding time, in space. We see our lives as a series of instances, and of choices, and outcomes. Eternity is not like that. God is bigger than space/time. He transcends His creation. He sees all things, perfectly, as the actually are, forever. God made the construct of this material world for us to live in, and for His story to be experienced in. He made it for His glory. The Bible, the Gospel of Christ, are theocentric, not anthropocentric. In Eternity, God sovereignly chose who would respond to their sin, and the gospel, with repentance and faith. He grants repentance and faith, to those whom He chose. This does not negate our culpability. He says as much in Romans. It doesn’t mean that we don’t experience choices and the outcomes of those choices. Let God be true. 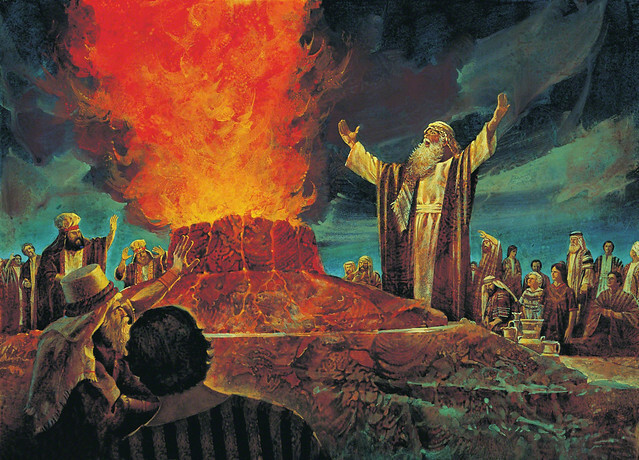 You can read that Pharaoh’s heart was hardened, Israel was chosen, Aaron, and Moses were chosen, Hosea, and Gomer were chosen, even the pagans were chosen to work God’s will in their wickedness they were used to punish Israel when they strayed. Christ chose His Apostles. 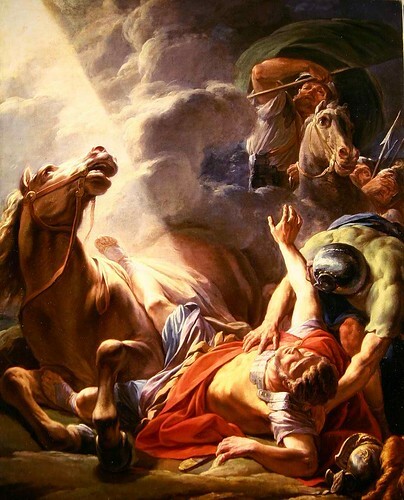 Paul was chosen, and we see that on the road to Damascus. Romans 9, Ephesians 1, God’s sovereign choices are all over the old and new Testaments. We can’t ignore it, or interpret in a way that makes it anthropocentric. Our purpose is to glorify God, not man. Sanctification is about being conformed to the Word of God and His likeness. A Christian would love for His sinful will in the unredeemed flesh to be gone. It is one of the things we look forward to in eternity, is being in a glorified body, that no longer desires to sin, but entirely desires to do God’s will only. People make the accusation that God wouldn’t make a bunch of mindless robots, but I would love it if I no longer sinned or were tempted to sin. It doesn’t mean that I would be mindless. Election, and man’s volition are both true. Before a man is saved, his will is enslaved to his sinful nature. After he is saved, it is enslaved to the Christ Jesus His Lord and Savior, who died for his sins.